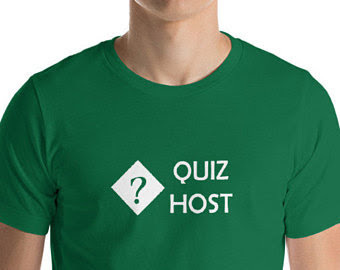 A great way to choose topics for a table quiz is to look at what people are interested in. And in the internet-age, you can work this out from what people are searching for. Google Trends monthly popularity charts show you what people have been searching for - and so probably what wil be good quiz topics. Their charts are broken down into categories eg scientists, cars, movies, songs, people, animals, chemical elements and more. They are updated monthly and go back to 2004. To see the monthly popularity charts Google Trends by clicking here and choosing the 'Top Charts' link on the left-hand side. 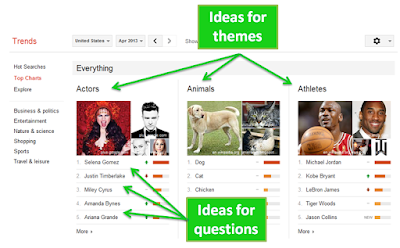 Look at the categories to get ideas for quiz-round themes, and the things that are searched for for individual questions. 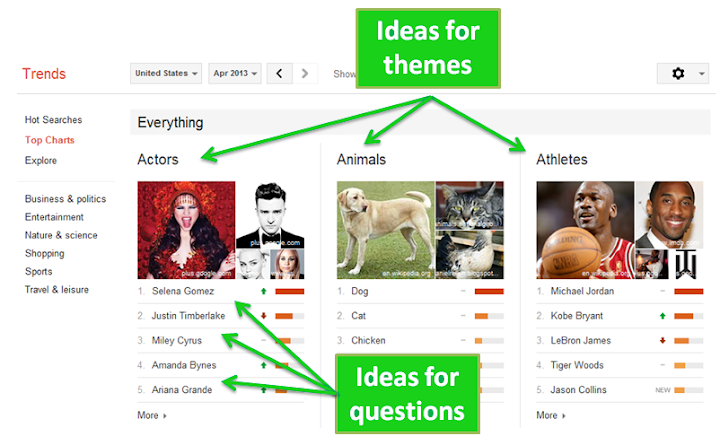 Note: At the moment, these charts are based on what people in the United States are searching for. If the people taking part in your quiz are not from the United States, then you should check whether the suggested topics really do work for your country: many of them will, but some may not make sense.